Antioxidants are crucial to your overall health, but it’s sometimes hard to figure out whether you’re getting enough through your diet. 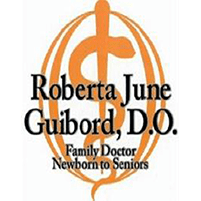 At her family practice in Perrysburg, Ohio, Dr. Roberta June Guibord offers a nutritional analysis that measures the level of antioxidants in your skin, which provides an accurate marker for your overall antioxidant health. To learn how to eat smarter, call or book an appointment online. You’ve probably heard of them before, but what exactly are antioxidants? Antioxidants perform the crucial task of fighting off free radicals in your body. Free radicals are harmful molecules that can cause a fair amount of damage if left unchecked, leading to severe conditions, such as cardiovascular disease and cancer. The easiest way to fill your body with antioxidants is through proper nutrition. What is a Nutritional Analysis? To determine how many antioxidants are in your body, Dr. Guibord uses an S3 scanner, which measures carotenoid levels in your skin (carotenoid levels indicate antioxidant content). The scanner is noninvasive: You place your hand in front of a blue light that identifies the molecular structure of carotenoids, giving Dr. Guibord a measurement of your antioxidant levels in seconds. Do I Get Nutritional Counseling? If your scan reveals an antioxidant deficit, Dr. Guibord reviews the results with you. Together, you develop a plan to raise those levels through nutrition counseling. Dr. Guibord provides you with a list of recommended foods and resources to get you on your way to better health through your diet. Adding these nutrient-rich foods to your diet can make a big difference in your body’s ability to ward off diseases. To get started on your nutritional analysis, call Dr. Guibord or book an appointment online.